Growing installs is the number one mission for any mobile app developer, and any user acquisition strategy generally consists of a mix of organic installs and paid campaigns. But many see these as separate and distinct. Not true. To get the most out of each — especially for smaller developers — it’s critical to understand how paid installs impact organic installs, and vice versa. 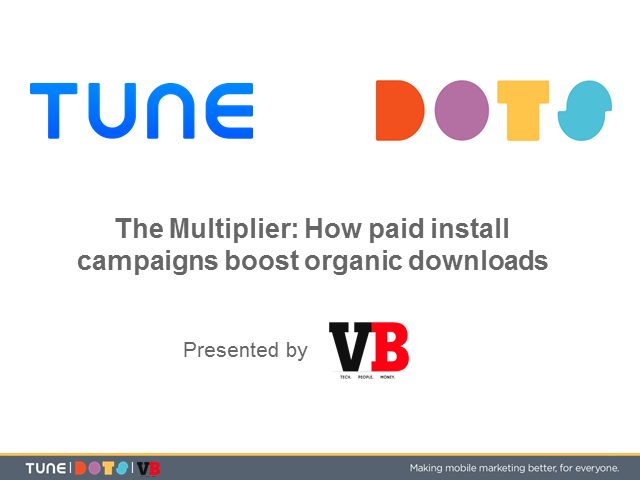 In this webinar, Ian Sefferman of TUNE will share the eye-opening results of a study investigating the correlation between paid campaigns and organic installs (yes, it’s positive), and how this varies depending on the app category and operating system. Christian Calderon of DOTS will dive into the strategies and tactics that increase both paid and organic installs, and how they work together.